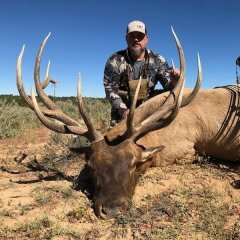 FYI - Arizona Elk Society (AES) is holding its annual banquet on April 8th. MESA CONVENTION CENTER 4:00 PM - Doors Open 5:15 PM - Dinner 5:30 PM - Ceremonies Start 5:45 PM - Dinner is served followed by festivities. https://arizonaelksociety.org/fundraising/2017-banquet-highlights Get your Corporate, Reserved or Single tickets seats now, they are starting to sell quickly. Tons of prizes, from RTIC Coolers to various Blitz prizes and rifles!